HIVE´s clean mode is perfect to achieve this goal, as it´s settings are golden to recreate that typical style. The Patches are split into three general categories: Basics, FX/Percussion and Enhanced. 60 Basics (10 sounds per waveform), 83 FX/Percussion (46 original + 37 variations), 64 Enhanced. Being the heart of this soundset, the enhanced category features 14 Basses, 21 Leads, 9 Pads, 13 Arps and 7 Sequences. There´s also lots of interesting sound effects and percussions: 15 kicks, 10 snares, 5 toms, 12 hihats and some risers and other usefull effects. ModWheel, and Aftertouch modulations are assigned on almoste every preset. An entirely new skin for HIVE complement this soundset. Again, SatYatunes and I worked together to build a skin that visually follows the style of these old beloved game styles. 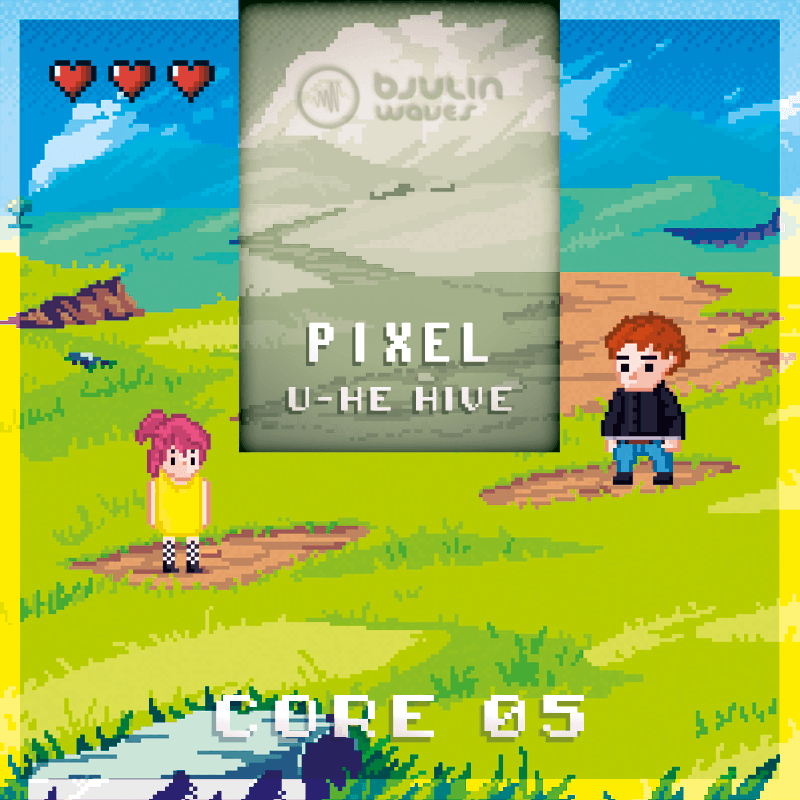 The Pixel skin comes in three different colour variations - blue, green and pink.